If you expect people to call you, you should make a statement. You could set a low price (could be counterproductive), or make some other incentive for the caller. In any case, you can’t publish enough info on a small window sticker, and putting up a huge description will look plain ugly. What to do? 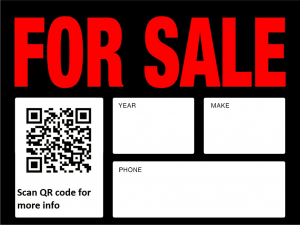 Most people own a smartphone these days, and most of those support QR Codes. 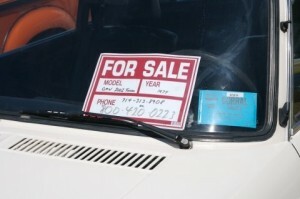 Why not utilize this and put a small QR code with all the info about the car. Heck, why not go to the extreme and build a mobile landing page? This action does not have to be too complicated, if you use the right tools. 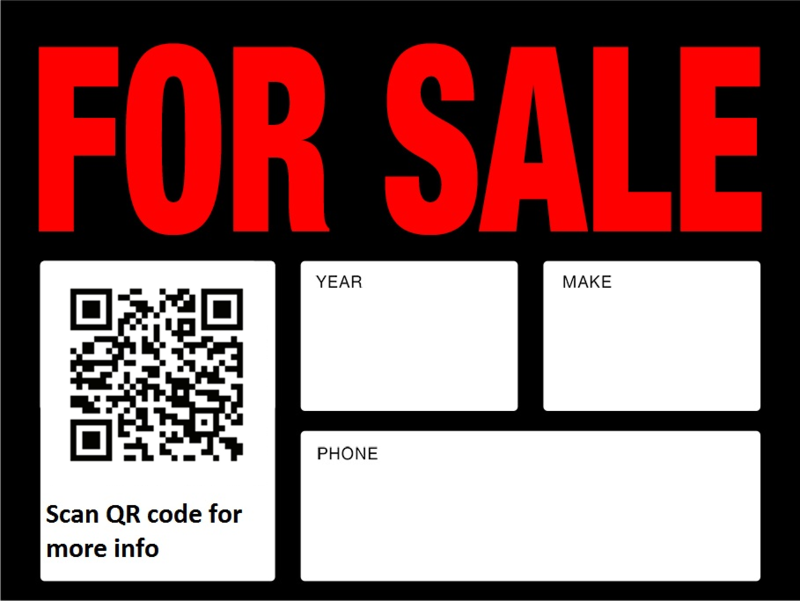 QR code on the left could lead to your custom mobile landing page. Example shown above contains sample pictures and has no details. This page is easy to edit. Idea is to give people all the info they need, in a way they will love and they can take with them. This QR is reminder about your car, and it also contains all the info they need. Another important thing is it’s optimized for mobile devices. You just need to type in your info, and replace pictures. No programming, no Web design course. This template will work on all mobile browsers, on any screen size, and will present your car with style. It will also work on any desktop or laptop computer. All you need to do is take it your car to a car wash and give it a new shine. Additional value here is option to send people direct link, so they can visit your mobile landing page from email (if they are nowhere near the car) or look at the data on their computer. It will work in all internet browsers. Don’t forget single most important thing – wash the car before showing it to buyers. “You can spend $10 washing the car and get another $200 for the car” – guess who said that? Dynamic vs Static QR code?